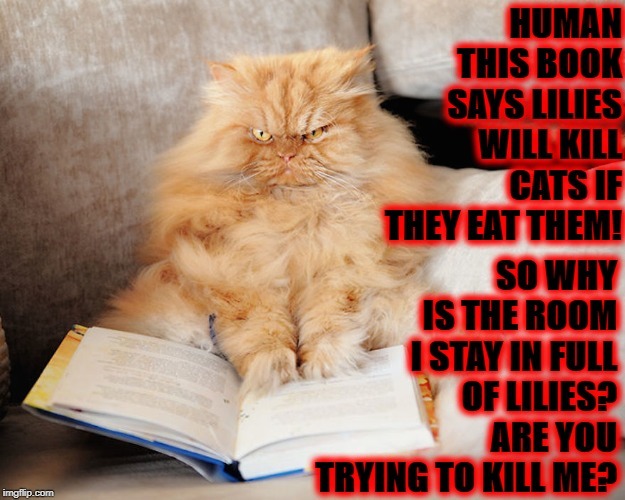 HUMAN THIS BOOK SAYS LILIES WILL KILL CATS IF THEY EAT THEM! SO WHY IS THE ROOM I STAY IN FULL OF LILIES? ARE YOU TRYING TO KILL ME?